Debbra Sweet, an expert on the subject of Business Growth for entrepreneurs, spoke a at BNI San Diego business networking event yesterday concerning growing business through effective referrals. SAN DIEGO – May 12, 2016 – PRLog — Debbra Sweet, an expert on the subject of Business Growth for entrepreneurs, spoke a at BNI San Diego business networking event on May 11th, 2016 concerning growing business through effective referrals. The Handlery Hotel, located in Mission Valley in San Diego, CA was bustling with business professionals in the early morning hours of Thursday May 11th, 2016 as proactive entrepreneurs gathered to learn about the benefits and insights of building a structured referral system into their business growth plans. Debbra Sweet, a business growth expert, specializes in change management in the areas of body, mind and business, was invited to be the keynote speaker at this event. She delivered a keynote presentation designed to introduce attendees to a system to effectively grow their networking team, contact sphere and client base through a strategic approach that leverages time and delivers results. Those who have been attendees at any of Sweet’s events say: “There are people who talk about doing things. Then are people who actually do those things they talk about. Debbra is a doer. What she says she’ll do, she delivers150%”. Others declare: “She has the ability to engage you from the beginning with confidence and comfort. You know standing before you is someone who will lead and who truly cares about you, your success and your results”. 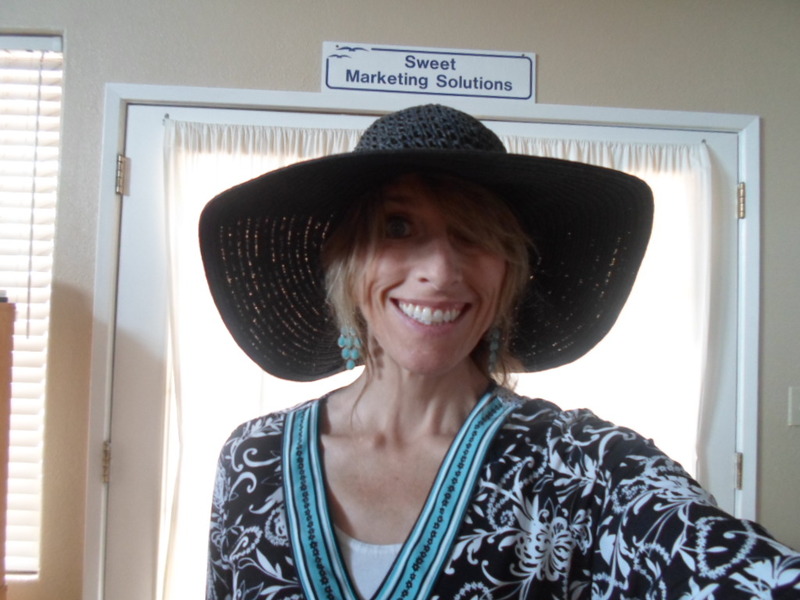 Sweet is a Director Consultant for the local BNI region in San Diego CA. since 2005 and has been involved with this organization starting in 1997. She is a Certified Trainer in Word of Mouth Marketing. A multipreneur herself Sweet has a rich, dynamic, substantive and practical approach to all she does. Very results focused, she specializes in working with business owners and executives to help them increase their profitability through planned, targeted, effective sales, marketing and revenue generation. Debbra Sweet is based in San Diego County however frequently travels to other states to speak on various business subjects. She is also a best selling co-author of the New York Times Best Seller “Masters of Sales” and the lead author in the “Power of Leadership” book series. For more information on Debbra Sweet business growth speaker visit: http://www.debbrasweet.com/networking. When I was younger I used to wear hats from time to time by choice. I had different styles and most of them were elegant ladies hats that you would wear for special occasions. I never really looked quite right in a baseball cap when I was younger due to the style and haircut I had. My ears would stick out a bit so I never really wore them. The ladies hats with wider brims tended to look better. I recall that I always had fun when I wore those hats. There was something about covering up like that made you walk a little different. Being one who never really was concerned about ‘fitting in’ it didn’t really bother me that when I wore those hats I often was the only person in town wearing them. My purpose in adding them to my wardrobe at that time was purely for fun and to add a polished look to the ensemble I was wearing. My favorite hat was a cobalt blue, wide brimmed, felt hat that had a scarf attached underneath. The scarf would gracefully hang around the face and tie under the chin. This part of the hat was made at the same cobalt blue material. It was very elegant and every time I donned this hat, it was almost like a throwback to the 1940s when women would take the time to attentively dress for their daily activities. Currently my reason for wearing hats is not just fashion related. I am dealing with a slight personal medical condition where my eyes are not excepting light the way they normally would. I have not actually owned a real hat collection in many years, but lately I’ve had to develop a small one. Most of the hats I am wearing are definitely wide brimmed as I need extra coverage to protect the light from hitting my eyes. My hairstyle has changed since I was younger so I actually own a couple of female style baseball caps. I can wear these from time to time if it’s not too bright out. What has been interesting about wearing hats every day for the last few months is the observations I have had when other people see me when I am in public. Here in the San Diego area it’s a pretty big deal for ladies to wear amazing hats – especially in the summer. There is a tradition at the Delmar racetrack where on opening day of the races- it’s hat day. Women adorn themselves with the most outrageous hats in hopes of garnering recognition for the best hat. We are not too far south of Los Angeles- where many stars are currently sporting a variety of hats. Most of those hats are fedora style – trading a bit more of a ‘boyfriend casual look’ instead of the wide brimmed hats you see at the races. Both females and males can be seen in fedora style hats. It is rare to see others wearing wide brim hats after the Delmar race season is over. The conversations that start because of my hats and the looks I receive and can see from under the brim are very interesting. Most of the time, what I observe from underneath the Brim, are surprisingly pleasant smiles. In fact, it is very interesting how many people genuinely will smile and even engage in a conversation when they see somebody wearing a wide brimmed hat. When I first started wearing these hats in front of people who have known me for years- the reactions were incredible and very intriguing. Since I do not live to receive attention from drama, I have been very private about my situation so most of my colleagues have bee unaware of my physical condition. On top of that many more people approach me to say hello-and it at a the smiles are always very genuine. In San Diego, the cultures of our locals are not typically like that. People out here often avoid looking at others straight in the eye during their daily activities. There’s so much hustle and bustle that you take the time to genuinely engage in even a brief conversation while looking at the other person straight in the eye, is not often encountered. Many locals in San Diego present themselves in a guarded way and they’re very self centric in their thoughts and actions with even the most simple things. They don’t seem to mind being amongst a larger population, but to slow down and engage in social graces – a most people will not take the time to do that. I know from my travels but in smaller towns around our country, it is still common to have ‘everyone know everyone’ so their mindset and interactions are a little bit different. People in smaller towns will still take the time to say hello. This consistent observation of how people have been treating me and being on the receiving end of the smiles- made me want to research a bit about how the protocol of hat wearing by ladies and gentlemen of yesteryear came to be. I was curious to find out social mindsets and reactions were the same back then as what I’ve been experiencing now. I was curious to find out why the wearing of a hat like this would cause more people to smile, approach you and say hello. My research didn’t answer that question- but it did give me a lot of insight as to the how, the what, the why or the when of hat wearing. In today’s more casual world, our recent generations seems to have never been taught the protocols and almost ‘language’ conveyed towards one another when wearing hats amongst peers. Without going into the whole history here, the one thing I will share, regardless of what style hat you wore and whether you were a male or female- was that wearing a hat – and how you interacted with your hat – clearly communicated your respect (or lack thereof) towards another person. Part of how this was communicated was tied to an action of tipping the hat. When a hat was tipped, the style of hat, whether you were indoors or outside, in a public place or a private home, and whether the person you encountered was an established relationship or a stranger- how you tipped your hat, (or if you did not) was a way of delivering respect (or lack thereof). Giving respect to others is a core value attribute that many people today have forgotten. Unfortunately, many people who live in the United States have come to adopt a mindset in an attitude of entitlement. They have a ‘takers take’ attitude which is delivered with a lack of respect towards others- yet they expect to receive social graces and respect. This clearly is a breakdown in our system of human interaction. Teaching core values begins with observing and living by them individually, and then carrying on the tradition of good core values and ethics within the family unit. Leaders today and leaders of tomorrow- would see better results in their efforts if they were to start speaking with more respect towards others. It is time for us as individuals to start walking more transparently- with respect as of the hats we wear. Respect should be part of our daily wardrobe, and method of communication. If you don a hat of respect each and every day because you choose to- and then approach others with a genuine smile, because you choose to, think about the change you might see and experience in your day to day inter actions of others. To have had the pleasure of being on the receiving end of unexpected genuine smiles – has been refreshing. It lets me know that there is still a human element out there were people do care about others. If more of us took the time and made an honest effort of giving out respect to others- without any expectation of return- more people would walk with genuine leadership. They would be the one giving respect, and then inspire others to do the same. I encourage you today to gracefully cover yourself with the hat of respect, and tip it towards those around you that you interact with and see how what you give out brings back to you. Many people ask me how the trip was and my answer is always introflective (yes this is a Deb word: introspective and reflective). It was very interesting and worth doing one more time. Part of my decision to take the train was based upon a budget I had set aside for the whole trip. At the time one way tickets for each of us were about $1000k each. I was going to need between 6-8 of them by the time this trip was done. When you are used to paying up to $200-300 for round trip tickets, those one ways, with all the airplane travel delays and distractions, was more than I was willing to invest. Knowing that I would have to cover costs on transportation to our destination, car rental while there, gas, food, transport back home- I set an appropriate budget from the get go. When realizing that my initial plan to get us there was going to be more than 4 times my whole trip budget, I decided to get creative and think outside the box. In fact, I made it a game with myself to see what other options we could work out to stay in my budget- yet have a fantastic time. I worked out many ‘mini plans’ in my head and on paper- and in one of those was the consideration of the train. I was pleasantly surprised to see how affordable travel by train was to be. My real motivation though behind this decision, was the opportunity to spend a few days with my boys being able to experience parts of our country that we would never see if we would have chosen to fly by plane or to drive on the highway. Over the years I’ve had the opportunity to travel throughout most of the United States. As an adult I am so appreciative to have had those experiences. Now, I want to give to my children an opportunity to create memories of their own that they one day too, can look back upon and enjoy. We spent 36 hours on the train with a coach full of Boy Scouts and frequent Amtrak travelers across the country. One of my goals that was set forth for this trip was truly achieved. We saw some amazing countryside and met some really interesting people. Once we were at our destination I stayed with my boys and my parents for about another 10 days. It was during this leg of our journey that my youngest son came to me with the declaration that Grandma said to him that I was “Money Motivated”. That surprised me- and caught me off guard a bit, because the least thing I am is money motivated. I definitely am financially focused. There is a difference. My understanding of someone being money motivated, is that all they think about is money- and everything they do is about making money. Money that they will keep for themselves for the purpose of materialistic gain. For people who take the time to get to know me- they will quickly discover my true motivation. It is to help others who wish to help themselves. The motivation for me, that is the deepest part of me, is the desire to encourage people to grow- and then to be there for them in order to help them achieve their own personal growth. People who look at me from the outside will see that trait, as well as I have publicly declared it many times over. I do not hide the fact that I have big vision to accomplish things that in fact, should make a lot of money. However- the purpose that those finances will serve- is to give right back to others in order to create opportunities for those individuals to personally grow. It is interesting at times to hear some feedback from people who have a limited perspective of understanding about why I do speak of money and building a solid business. Part of what I do as a marketing and business consultant is to help businesses make money. If we don’t have those conversations, and we are not able to talk about money, how is the business is supposed to make money? In running my own businesses, as the CEO- I have to have conversations that are financially focused . They’re tied directly to how the business will be running for the next quarter, the next year- and even for many years down the road. Having a solid business and marketing plan that you execute and implement has to be measured. One area to measure of businesses successes or shortcomings has to do with making money. Today our world is filled with an upcoming generation – and even current generations that operate businesses- who never received the benefit of solid financial training. Often these are the very clients who hire me to help them build, cleaned up, turn around, and consistently market and promote their business so they can make money! Being financially focused is very important today- more so now than ever. After the last economic side turn I would think that more people would be interested in learning how to have financial focus that allows them to grow professionally and personally. I know not everybody is comfortable with that statement. However, if I can at least teach my children how to be financially responsible then I know I have done my part in this area to prepare them into adulthood . On our trip, that is part of what we did. Although my children are now 10 and 12, they both have businesses that have been making them money. 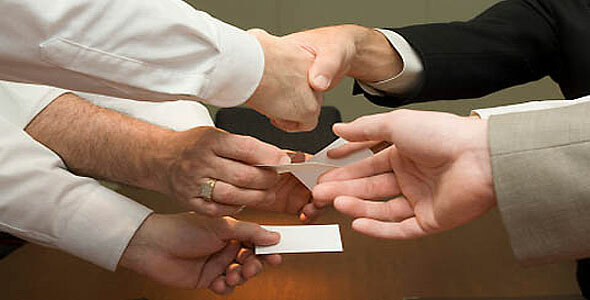 They both have done business plans, marketing plans and have tested their plans with focus groups. They go out and find their own customers, they fulfill the orders- and then they reap the benefit of learning about human interaction, work ethic, communication, sales, marketing, time management, and yes- Money management and financial responsibility. My encouragement to you is this: the next time you see somebody who is in business talking about making money- before you assume they are soley money motivated, take the time to ask a few more questions. Take the time to get to know them. When you see the mom or dad in the grocery store who was shopping on a budget, living frugally, and doing the best of what they have, smile at them. It is not always easy to adjust our thinking and our habits to live within our means-and still maintain the vision for growth and prosperity. However- it is doable. If more people took the time to understand the difference between being money motivated and being financially focused for fiscal fitness- we all would be in a better place. I encourage you to ask yourself what is your motivation in life and in business? The ‘Aha’ moment you discover may suprise you!